MINNEAPOLIS/ST. 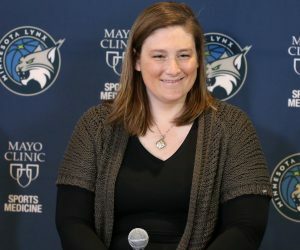 PAUL – The Minnesota Lynx today announced their broadcast schedule for the upcoming 2018 WNBA season and for the second consecutive year, every home game will be made available for viewing. As the team continues to expand the mobile experience for fans, they have partnered with FOX Sports North to make several games available for streaming exclusively through FOX Sports GO, which can also be viewed within the Lynx team app. 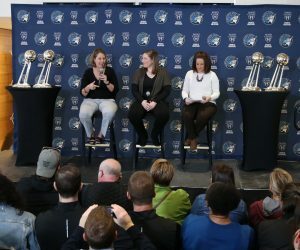 The Lynx recently launched a new team app as a further step to enhance the mobile experience for fans. With over 80% of fans using their phones to enter the arena, the team has expanded their technology through the addition of Wi-Fi and a DAS system in the newly renovated Target Center to enhance mobile connectivity. This latest move with FOX Sports North furthers the mobile experience outside of the arena, allowing fans to access additional home games through the team app and through FOX Sports GO. The FOX Sports GO app also works with connected devices, including Apple TV, Roku, Google Chromecast, androidtv, XBOX and fireTV. Every Lynx home game will be broadcast via FOX Sports North, FOX Sports GO or ESPN2. ESPN2 will kick off the season by televising the rematch of the 2017 WNBA Finals against the Los Angeles Sparks. The team will also have four road games televised. 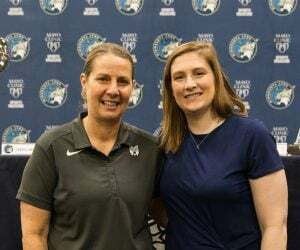 This year marks the eighth consecutive season that Marney Gellner will serve as the television play-by-play announcer and Lea B. Olsen returns for her 10th season as the Lynx television analyst. FOX Sports North is celebrating its 20th year as a partner in broadcasting Minnesota Lynx basketball. 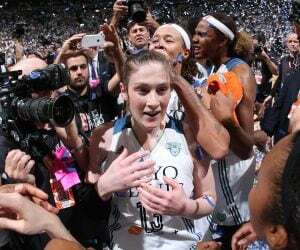 In addition to the games aired locally, the Lynx will be nationally televised on ESPN2 for six games. Fans can also listen to every game on the team’s flagship radio station, 106.1 BOB FM. FOX Sports North PLUS channel listings: click here. FOX Sports North reaches more than 2.5 million homes throughout Minnesota, Wisconsin, Iowa and North and South Dakota and telecasts nearly 2,600 hours of locally produced programming per year. For more information: www.foxsportsnorth.com.